Lime is a kind of mineral which comes from calcium oxide (CaO) and the basic element of this mineral is calcium that has general formula Ca(OH)2 and used in many industries as two types chemical and mineral which has lots of usages in different fields that mention bellowing. Iran Lime has wide applications in drilling industry and its one of the main mineral in water based or oil based drillings which refer to the type of drilling has variable specifications and all of them are supporting by our company and exporting to all over the world. Also one of it usages refers to lime mud which saturated with lime and some other matters like drilling starch, CMC, PAC, KCl, bentonite and some others that all of these indicates its importance. 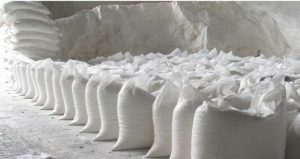 Lime has known as some other names in the markets like hydrated lime, slacked lime, calcium hydroxide and some other names with various degrees of purity, different shapes like powder or bulk or different meshing and packing which all of them are available by ATDM company. calcium hydroxide generally is insoluble in water and the negligible amount of that is soluble in water and according to it high density it sediments in water and known as high PH level mineral and uses as PH booster additive and also is an alkaline substance in water and oil based drilling muds. Lime has high level of use in wide and various fields with different specifications and features. Lime has usages in many industries like steel and iron melting, petrochemicals, glass making, bleaches, porcelains, leather making, color making, resin making, ways and asphalt paving, soil enrichment and agriculture, making carbide, sewage refinery, coal mines, pets and birds food enrichments, ceramics, cement and building substance, water refinery, wide application in drilling industries and drilling muds and lots of other usages which the needed lime of them is suppling by ATDM company. Lime with having different degrees of purity, meshing and some other items has various specification which any of them uses for separated branch in the industries and according to it expanded usages this mineral becomes one of the main products of our company and its supplies with every specification by ATDM company, it also has several features among its various types like density about 2.2 and high PH about 12.4 and according to this issue it is an economical source for extract alkalinities and calcium. On the other hand it uses as salinity reducer or density booster for the solutions. this mineral also has negligible solubility about 0.165 gr in 100 ml water at 20 centigrade degrees that as like as it basic mineral calcium oxide and with touch by water takes more volume and because of that uses in drilling muds. Lime according to it expanded usages in different fields has different types of packing with low or high volume which packs by ATDM company and exports to different markets. Lime because of it high water attraction mostly packing in moisture proof sacks with 25 kg on the pallet which make the shipment and transporting safe and after that get ready to send to the customer. Calcium hydroxide is safe for environment and has no effect on that and known as a safe mineral that has a lot of uses in different industries and suppling by our company with strong standards and certifications also with the best quality and affordable price and all types of the lime is exporting to every spot on the world by ATDM company.